The kick-off meeting of the European project GoURMET was held at the Universitat d’Alacant on January 22-23. The Transducens Research Group is one of the partners of the project “GoURMET: Global Under-Resourced MEdia Translation“, that focuses on building machine translation systems to translate global news into scarce-resourced languages. The project, that will last for three years. 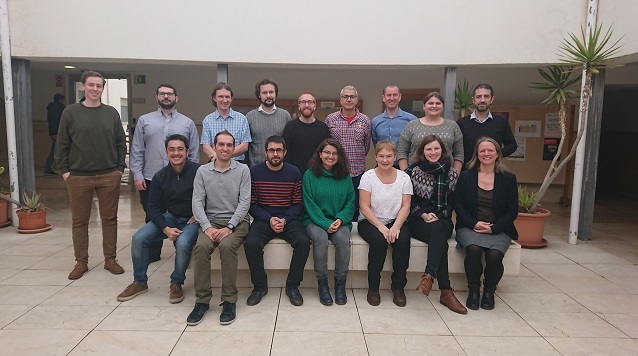 The consortium consists of the University of Edinburgh (coordinator), the Universitat d’Alacant, the University of Amsterdam, the British Broadcasting Corporation (BBC), and Deutsche Welle (DW). The project is funded in the framework of the European initiative Research & Innovation Action H2020-ICT-2029.